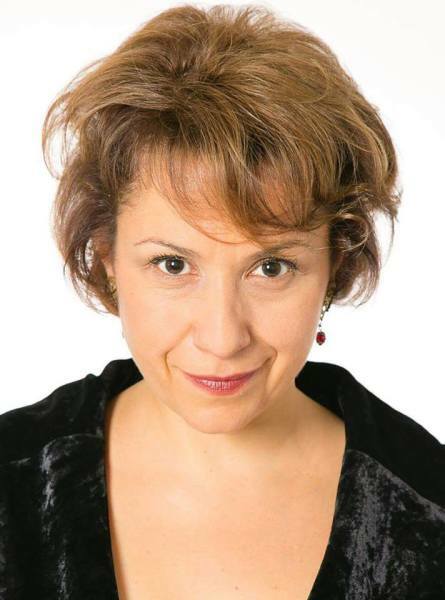 Idit Arad is an Israeli-British Opera singer and singing teacher, founder and former artistic director of the Madrid Opera Studio (closed down in 2014). Idit grew up in a home entrenched in musical love and tradition. Her mother is a piano teacher and doctor of the philosophy of music. She started her music studies as the age of 4 with the violin, and then moved to the cello before at 14 starting to study singing. At the age of 15 after receiving her first full scholarship with excellence from the Israel-America Foundation, Idit was the first singer to be invited to become a part of the group of Young Talents of the Jerusalem Music Centre. Idit met the renowned Professor Vera Rózsa in the Jerusalem music centre at 17, and came to study with her at the Guildhall School of Music and Drama, London. She carried on her operatic training at the Federico Davia Opera Studio, London. Since then Idit has performed as a soloist in concerts and operatic productions in England, Spain, Israel, Hungary, France and the USA. She takes special pride, for her love of theatre, in having performed the lead role of Antigone, first at the Shakespeare Globe in London and then on tour, in a new Opera by the Royal Opera Covent Garden's associate composer Dominique Le Gendre, set to the text of the Nobel prize winning poet Seamus Heaneys' The burial at Thebes, a version of Sophocles' Antigone, directed by another Nobel prize winner, Derek Walcott. Idit also had an extensive career as a concert artist. As a regular soloist with the Schubert Players, she went with them on tours in Andalucía, Spain, as well performing with them in the UK at St John’s, Smith Square, London, the Penrith Music Society, Faversham Music Society, and in the Mansfield Theatre. She sung in numerous concerts, and gave many recitals in some of London’s most important concert venues such as St John's, Smith Square, St James's Piccadilly, the Kenneth More Theatre and St Martin in the Fields, as well as in France, Hungary, Germany, Israel, Spain and the US. In 2005 Idit recorded a solo album of Spanish art song “Alma Española” with the acclaimed Meridian Records label. Idit has shown a keen interest in the art of teaching from an early age, and initially guided by her mother, was encouraged to make comments and help with the instruction of students at home. Later on it seemed that many colleagues sought her help, which she always enjoyed and loved giving. Teaching therefore seemed a natural thing to Idit. She started her teaching career at the age of 26 in Paris, where she lived for 2 years. She then carried on teaching in London until 2011, working with actors, singers and voice users of all professions, privately and also at London School of Dramatic Arts. From 2011-2014 Idit lived in Madrid, Spain, where she taught privately, and also founded and worked as artistic director of the Opera Studio of Madrid, till it closed down in 2014. Royal Welsh College of Music and Drama (Cardiff, Wales); North Sea Vocal Academy (Denmark), etc.